Daily Zohar #408 – Would you like God to obey your commands? There are laws that must be followed in order to come closer to the King. Because of the urgency of the matter, Esther wanted to come to him while skipping the process. The Zohar explains that the laws to approach the king are in following the Torah and by that we connect Malchut with Zeir Anpin. Esther fasted for three days not for the sake of coming closer to king Ahashverosh but to be able to connect to the Creator and bring light with her actions. When Esther said “and if I perish, I perish” it implies to the two times the Holy Temple was destroyed. It was a result of negativity created when the people didn’t follow the most important law of the Torah, which is “Love your fellow man as yourself”. Our actions for the sake of others are the easiest way to bring more light into our life by channeling it to others. Esther was a queen and well protected from any harm but she was thinking only about her people. That gave her affinity with the light and was able to produce the miracle of Purim. 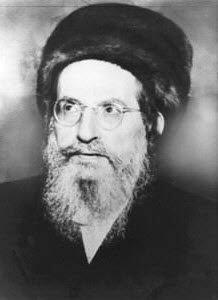 Rabbi Shimon had this ability and even if we can’t be like him we should act as if we have this ability. It will bring us closer to be heard than before. are precise tools to bring the light from above to below. The last word “אחד” draws the light down and brings unity of the names YHVH with love. Love אחד = = 13 = אהבה. The first word of the first paragraph “ואהבת”,”you shall love” has numerical value of 414, which is twice Light,”אור” to represent the direct and returning light generated with this meditation. When we recite this sacred text we should nullify our selfish desires and think to be one with the light by meditating for others.